Gather with your group here and get transferred to Shillong. 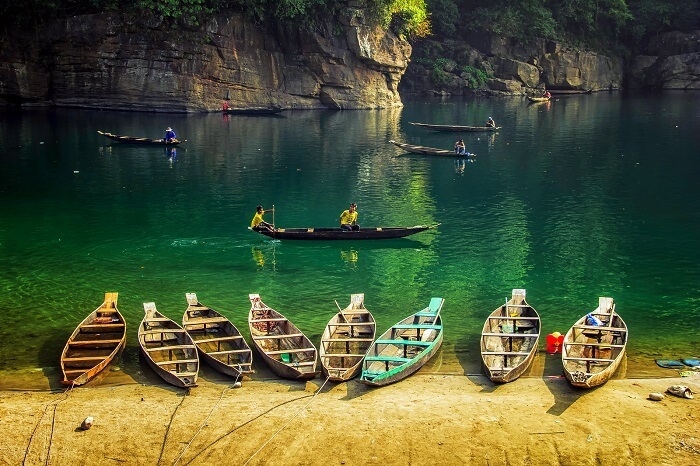 After breakfast, drive towards Cherrapunji, en route witness the Umiam Lake or Barapani – is the biggest artificial lake in Meghalaya in midst of sylvan hills adorned by Khasi pines & peerless beauty. Visit Elephant falls which is 1.5 hrs drive from Umiam lake. Reach the the trek start point for double decker living root bridge, after a brief up about the trek start trekking. This will take 4-5 hours, post which you will reach in the lap of nature surrounded by waterfall. After breakfast, checkout and later get transferred to Guwahati Airport / Station and depart with numerous memories. If you are in a group of three plus coming together check with us for group discounts.